Barely a month old, Nuts Over Salads is every calorie-conscious office goera��s solution to healthy, wholesome meals on-the-go. The brainchild of chef Aditya Rao who has earlier worked at a host of popular city restaurants including Olive Beach, Skyye, Tower Kitchen and even as the head of the Catholic Club kitchen, it serves up premium salads a�?at not so premium pricesa��. a�?When the Tower Kitchen shut down, instead of getting myself another job, I went ahead and started Nuts Over Salads, which is now slowly garnering interest,a�? Rao reveals, adding, a�?I had always wanted to start a purely salad-based venture but had to wait for the right time. Now with everyone getting on the fitness wagon, I realised something like this was what was needed now more than ever.a�? Raoa��s exposure to a wide variety of cuisines means that his salads are as varied as they come. All the dishes come with a topping of nuts, hence the name. 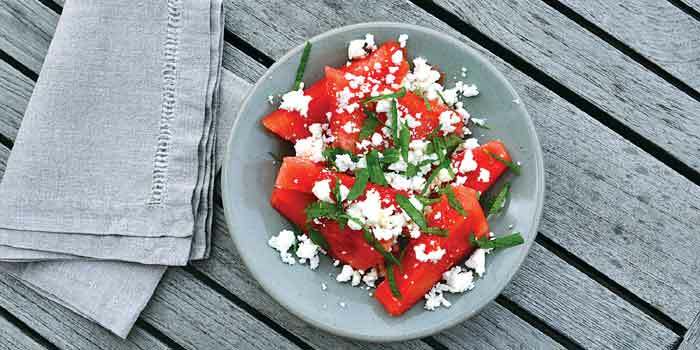 The watermelon and feta salad is a beautiful balance of textures and flavours with the salty feta, sweet and fresh watermelon, balsamic dressing, and crunchy candied walnuts with a little bit of heat from chilli powder. 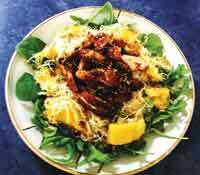 The five-leaf Italian salad features three varieties of lettuce, rocket and baby spinach, which he sources from his own home garden. A red wine vinaigrette forms the dressing with olives and feta thrown in to complete the dish. For some Asian flavours, we sug-gest you give the mango noodle salad a try. Ripe alphonso mangoes, wheat noodles and baby spinach are tossed in an Asian dressing concocted with fish sauce, oyster sauce, lime juice, chilli and brown sugar. A bit more on the heartier and heavier side are the wheat pasta sal-ad, brown rice salad and cous cous salad with vegetarian and non-veg-etarian options. a�?Most of the recipes I use are the result of in-depth consultations with athletes. A few salads like the pasta and brown rice are custom made for athletes who require car-bohydrates in their meals,a�? Rao informs. a�?The menu has something for everyone, from something as light and fresh as the five-leaf salad to a roast chicken salad,a�? adds Rao who also grows his own jalapenos, chillies and red peppers. Currently operating out of his terrace, Rao delivers in MG Road, Lavelle Road, Vittal Mallya Road, Shantinagar and Richmond Town, with plans to expand to Indiranagar and Koramangala.